Day 2 of New York Fashion Week spring 2016 was quite eventful. I woke up unable to decide what outfit I wanted to wear. Initially I wanted to wear a pair of black and white checkered pants and my black cape jacket. I put the outfit on, stepped outside, looked in a glass window, hated the outfit and literally went back up stairs to change. I just didn’t feel my best in the look. Plus, it was windy and the wind had my cape flying all over the place. I felt sloppy. So, I changed. I opted for something classy and chic and boy am I glad I did. 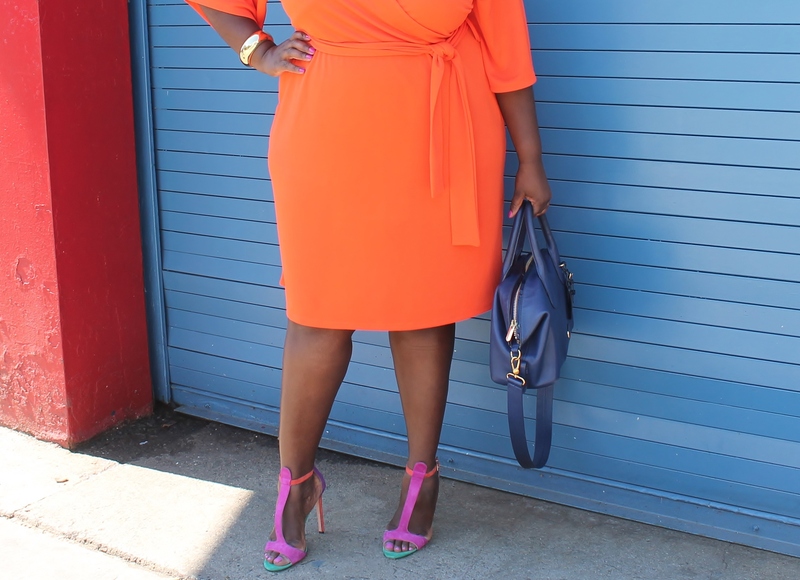 I decided to go with an uber bright orange kimono wrap dress from ASOS Curve. 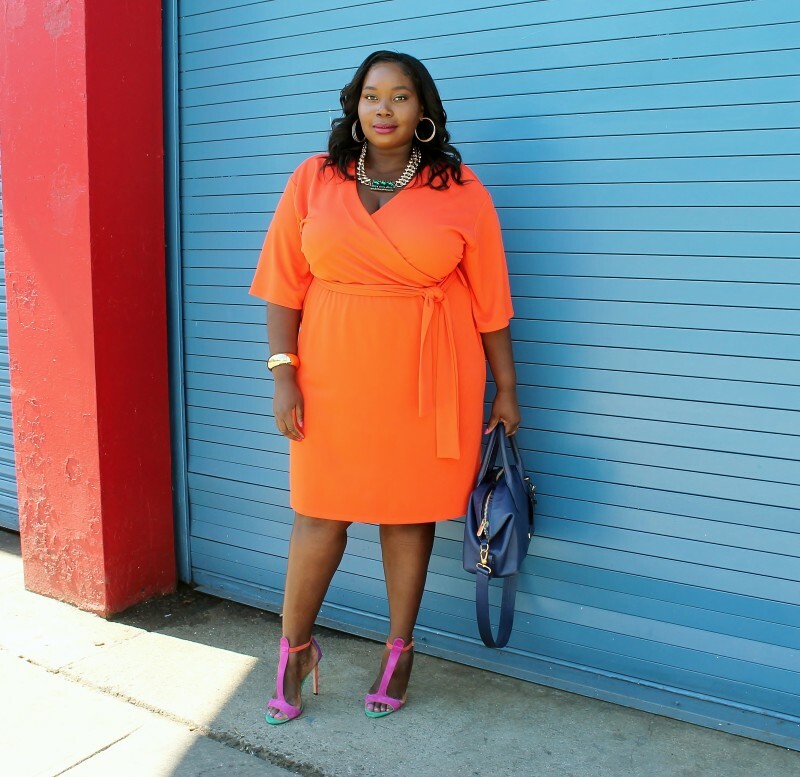 While the dress is simple and classic, the color is everything and more. 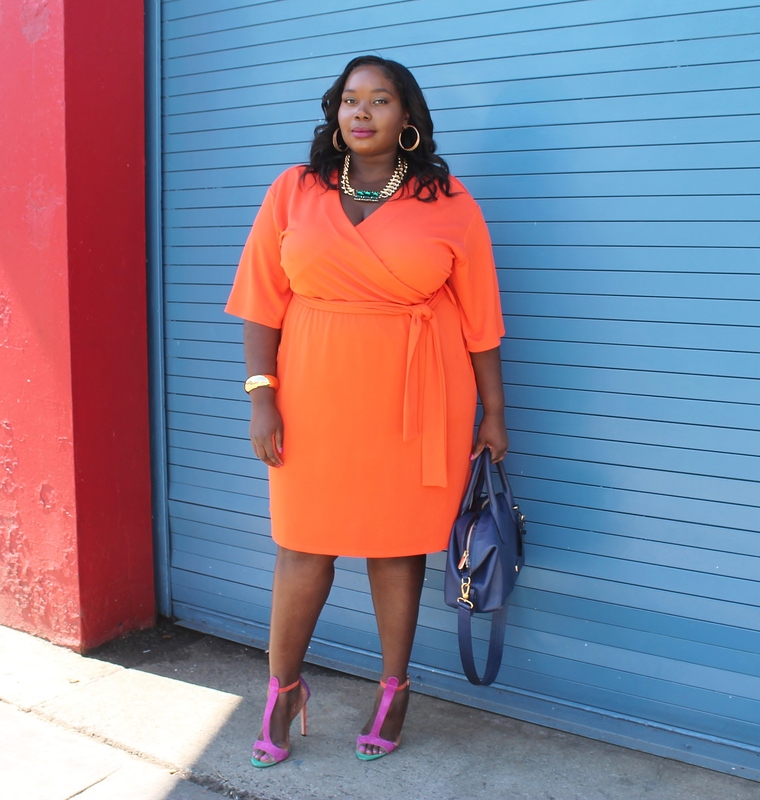 As a dark skinned woman, rich bright hues look fantastic on my skin tone. I knew that I was going to standout in the crowd due to the color alone. As I predicted, my dress was a hit. 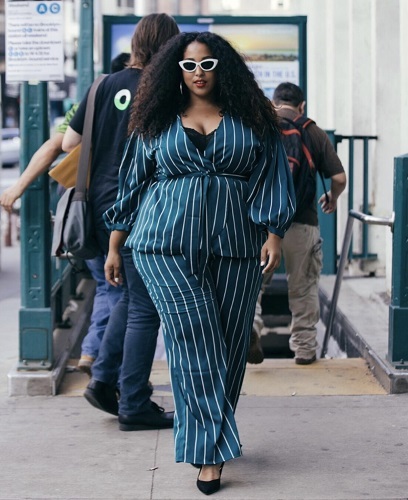 I was snapped three times by street style photographers and everyone from show attendees to strangers on the street complimented me on my look and how pretty it was. 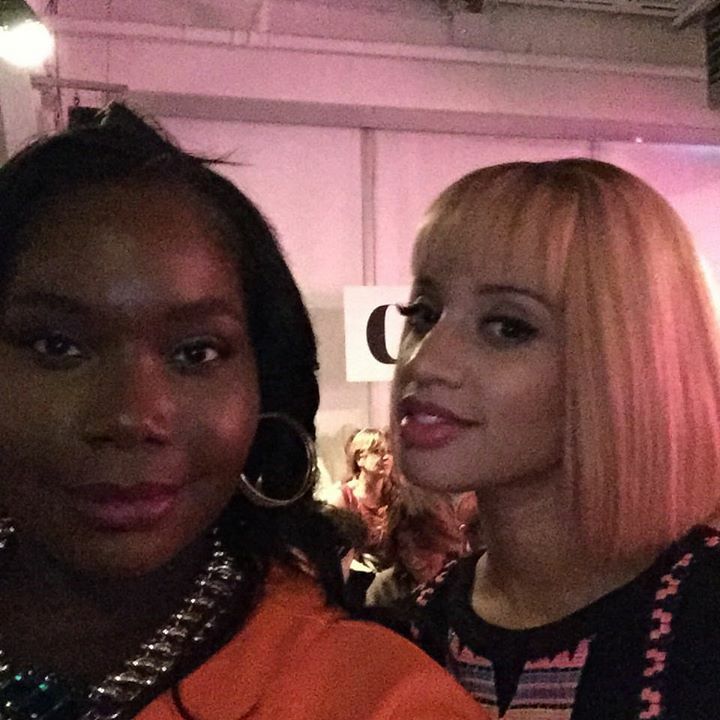 Even Dashca Polanco aka Dahlia from Orange is The New Black complimented me when I spotted her front row at Custo Barcelona. Check us out below. Um, why didn’t anyone tell me the front of my hair was messy. Ugh! As for accessories, I went with my B by Brian Atwood colorblocked sandals, a gold bracelet and my Marc Jacobs tote. I wanted to wear my purple Marc Jacobs tote but it couldn’t hold my camera. LOL! 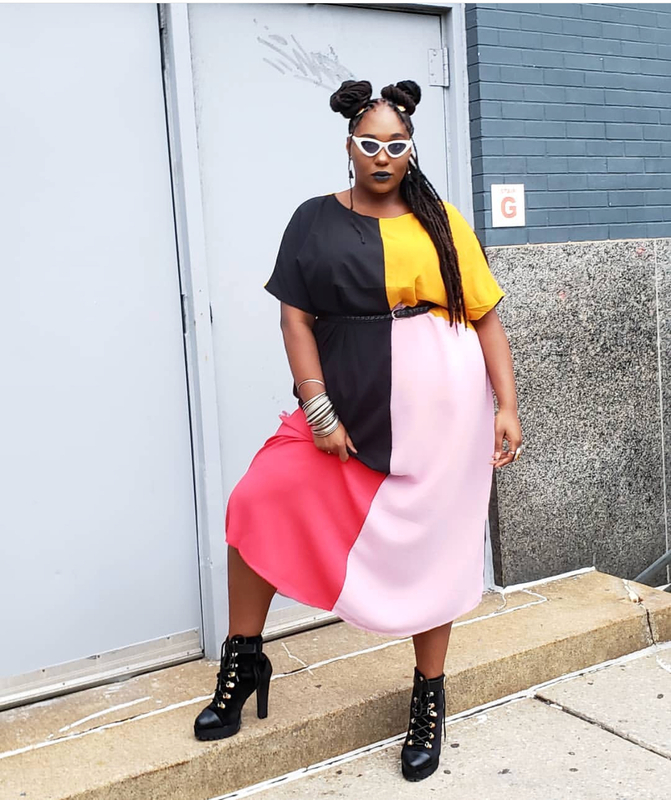 And that’s my day 2 NYFW look. What do ya’ll think? I read this article and found it very interesting, thought it might be something for you. 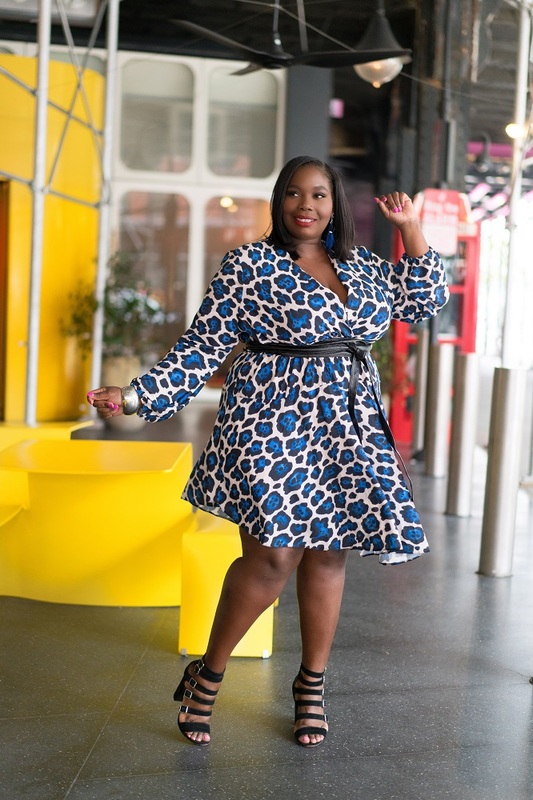 The article is called What I Wore Day 2 of New York Fashion Week Spring 2016 and is located at https://stylishcurves.com/what-i-wore-day-2-of-new-york-fashion-week-spring-2016/. You look ravishing. The color is amazing on you, and I love the shoes with it. Wow!!!! All the colors of your look look amazing! So well put together. No wonder photogs were snapping your pic! Thank you so much Roxxan. 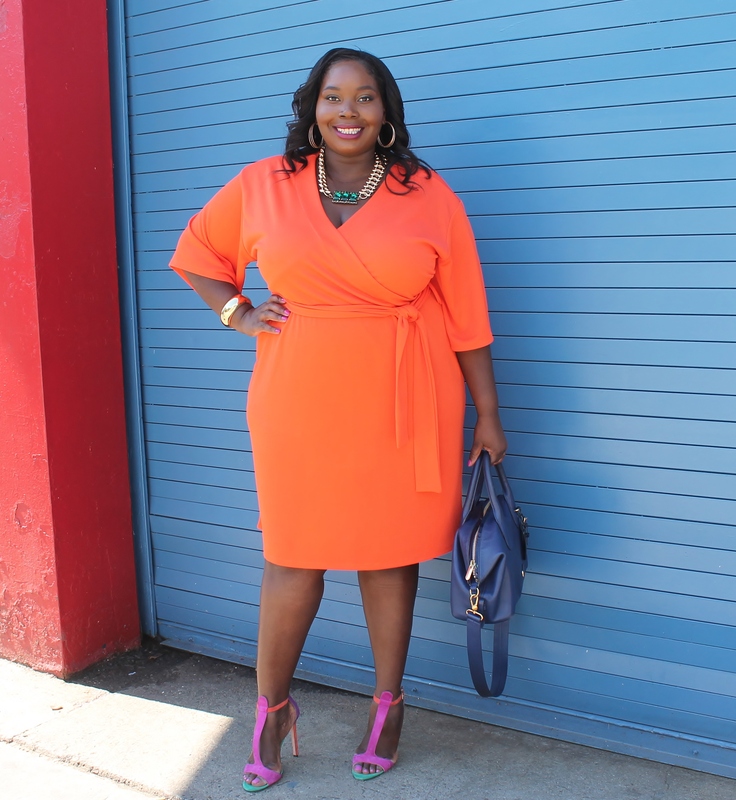 the Orange kimono is great on You!